This event is hosted at A-Lab, Amsterdam’s ultimate living lab. A-Lab is a coworking space that hosts creatives and technologists. To find out more, go to https://a-lab.nl. Are you organizing Appsterdam Game Night? 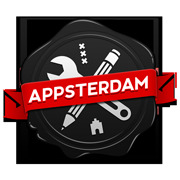 Are you an organizer of Appsterdam Game Night ?